Sulphuric ether, or diethyl ether, was a popular choice for the administration of general anaesthesia. The first demonstration of the anaesthetic properties of sulphuric ether occurred in 1846 by William T.G. Morton, an American dentist. Before this time, inhaling chloroform was the common mode of relieving pain during an operation, however the dosage had to be just right so as not to kill the patient. 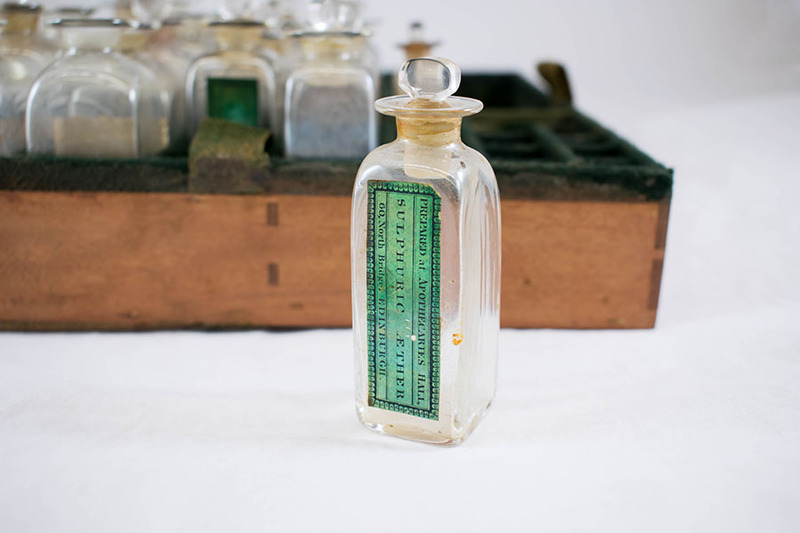 Apothecaries Hall, Edinburgh, “Bottle of Sulphuric Ether,” Heritage, accessed April 24, 2019, https://heritage.rcpsg.ac.uk/items/show/185. 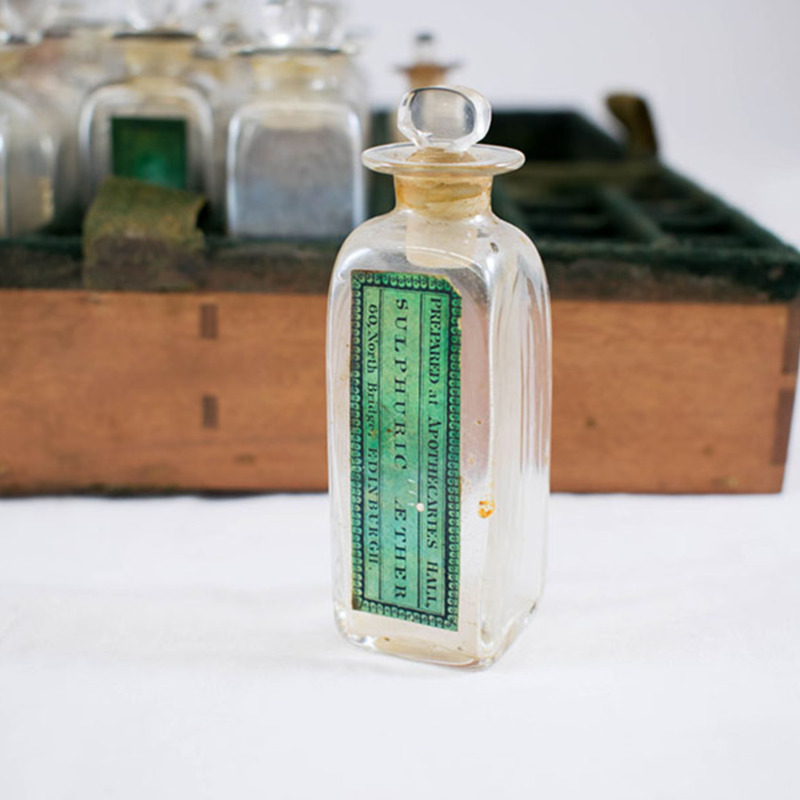 Description: Sulphuric ether, or diethyl ether, was a popular choice for the administration of general anaesthesia. The first demonstration of the anaesthetic properties of sulphuric ether occurred in 1846 by William T.G. Morton, an American dentist. Before this time, inhaling chloroform was the common mode of relieving pain during an operation, however the dosage had to be just right so as not to kill the patient.